Trey Pringle is cofounder and CEO of Sovi, which helps consumers find deals on concert tickets. Pringle and longtime friend Tom Evans founded Sovi in 2012. 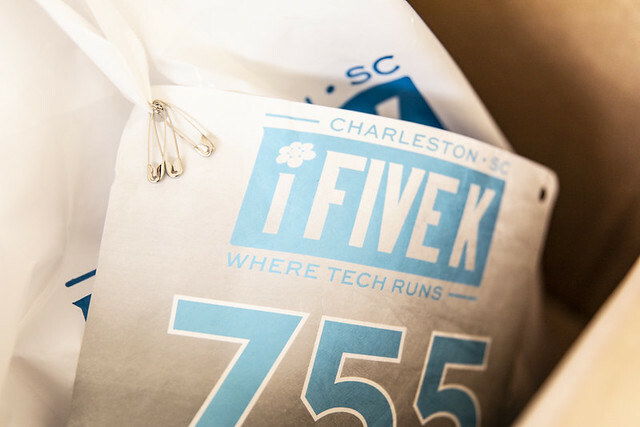 The company is based at the Charleston Digital Corridor's Flagship2 in downtown Charleston with one other local employee and a developer in Argentina. Sovi operates in 25 U.S. cities and Canada. Greenville, S.C. My business partner, Tom, and I grew up in Greenville together, so that's been a great centerpiece of us building this company. I'd say the biggest standout from that is playing basketball. We both played basketball from a young age and were on the same team. That's how we became friends when we were younger. I went to the College of Charleston, graduated in 2009, stuck around for about a year, moved to Greenville for a couple of years, and then San Francisco after that. We were operating our business on the West Coast. We were raising a seed round or a pre-seed round. There's a fund called SC Launch. We spoke with investors on the West Coast and SC Launch about participating, and SC Launch ended up being the best fit for us. Part of a partnership with them is having a headquarters in South Carolina, so we decided to move back. But I also believe from going to school here that Charleston has the right climate for a technology industry to thrive. It's got a great quality of life with a semi-low cost of living. It's kind of rising now, but definitely as it compares to San Francisco, it's still the right ratio. I think that is the right foundation, and that is why we moved back here. It's been great for our business. We've grown quickly since we've moved back. We operate a secondary exchange for concert tickets. We create products where live music fans can buy concert tickets, and our ultimate goal is to use these products to help bring down the cost of tickets for everyday fans to go see concerts. We have tools that search the entire internet for tickets on sale, sort of the same way that Kayak does for plane flights, so that we can find the lowest price on sale anywhere. It might be from the box office, it might be from StubHub, it might be from somewhere else on the internet, but we try to aggregate that all in one place. That, we believe, is going to help bring the cost down. But, long term, there are also some things we believe we can do by using our data to help artists and promoters price their tickets more effectively, and it's going to make the costs long term come down for consumers as well. Right now, our flagship product is Sovi, an app where you can buy concert tickets in two taps, and we are expanding on that with releasing a website and an Android app, as well. We started the business about five and a half years ago. Tom had just graduated college. I was a year out of college; I'm a year older than he is. At that age, you're just starting your adult life, and you're pretty active going out in the community, taking part in events, meeting friends at bars, etc., and we started the business as an events-marketing business. It was sort of like a Craigslist for local events. We got bars, charities, 5Ks, everything under the sun – we got those organizers to post them to our platform. It's pretty much the exact same thing as what Facebook events is now, what we were five years ago. It worked really well. It created a lot of awareness for events in the community, but it was very hard to monetize. We learned through that that live music was where the real potential was. Pretty much everyone that used our platform was either a music venue or promoter that was putting their concert on there, and a lot of consumers that came to look at the calendar were looking for concerts. So we said, there's a pretty big marketing gap for live music, and that's what pushed us to create an app that was specifically for live-music tickets. We made that pivot about two and a half or three years ago. What's the meaning of the name Sovi? Honestly, it was just a unique name that we came up with one day. We wrote like 20 different names down. I can't remember exactly where that one came from, but we knew it was memorable, and we knew it was unique from "events this" or "tickets that" – those names aren't memorable. Tom and I both worked together at our first job, and it was at Old Navy, when we were 15. At that age you're mainly just working to have some money to spend with your friends, at the movies or whatever. But it definitely teaches you responsibility. I'd say that's the main thing that I learned, managing money and responsibility. Did you have an entrepreneurial drive early on? It developed later in life for me. Not only do we focus our products and our business on the live music industry, but that's a big part of our lives. We go to a lot of concerts, music festivals. It's very ingrained in what we do every day. So I'd say the culture revolves a lot around music. When we're not going to concerts, we are constantly playing music in the office and discovering new music. I was a history major in college, so I don't know much about the specific management styles that you might learn taking an MBA class. I'd say our style has just evolved out of the way that Tom and I work together. We have very complementary skill sets. We know what each person excels at, and we work together to focus on the things that we're best at. I'd say that I excel more as an operator and Tom excels more as a product person, but we both have complementary pieces that help support both of those sides of our business. In general, we work really well together, delegating everything that needs to be done. As far as our team is concerned, our main goal is to empower people to get the best out of themselves, so we don't impose a lot of rules. We mainly focus on the goals, long-term goals, where we want to take our business and the milestones that we've laid out and the roadmap that we have to get there. We just all get in there together and work on those goals every day. Someone who is a self-starter. Someone to whom we can say, "These are the goals. This is our roadmap to get there." And then they can just go and start working, and they don't need a ton of guidance. We want them to definitely ask us questions and ask us for guidance when it's needed, but we're never going to be able to get the best out of ourselves if we've having to look over someone's shoulder all day. I have limited experience with bosses. After our first illustrious job at Old Navy, I was mainly a bartender up until we started this business. I didn't really have any influential bosses during that time, but I would say that I've learned a lot from people who were not a boss but more of a mentor. Most people that I met when we moved to San Francisco and a lot of the investors and the supporters that we've had along the way, I've learned a great deal from. One lesson is patience. When you're an entrepreneur, you think everything that you've envisioned for your business, especially early on, you think it's all going to happen in the next few months. Most of my mentors have taught me to definitely keep your energy levels high and be hungry in that mindset, but to also understand that some things take time and know that you're going to have to have endurance and a plan that involves longevity if you're going to be around for the long haul. My business partner, Tom. Through the years of building this business, we both started it not knowing anything. We decided to jump into it together, and we've held each other up the whole way. We've also taught each other so much. We've learned from each other the entire time that we've built this business, and we're both constantly working on ourselves, developing ourselves and making ourselves better, so that keeps the challenge up for the other person to keep up. That's the No. 1 force behind what I've been able to become professionally. The hardest part about being an entrepreneur, especially a technology entrepreneur, is the sacrifice that it takes. Especially if you don't have some of the things going for you like having gone to an Ivy League school or having worked for a Facebook or Google, you're already sort of playing catchup. So to really get your business around the corner and over the hump, it takes a lot of hard work, a lot of sacrifice financially, personally, for a long time. You have to be willing to do that to really move your business to the place where it's profitable and growing and there are actually people using it and interested and people paying you money for whatever it is that you do. There's no getting around it – it's very difficult, and I think that's what weeds a lot of companies out. When that first valley of darkness comes for you, you either walk through it and experience the sacrifice, or you don't. That it's easy, because it's definitely not. The other one I would say is that it's not a get-rich-quick-thing that some people view it as. Sometimes people come up to me and say, "I have this idea for this app." And they have this notion that you could just go and build it in two weeks and you'd make millions of dollars from it. If it was that easy, everyone would do it and everyone would be a millionaire. That's one of my favorite things about being an entrepreneur – you're not stuck with time constraints on your day. You don't have to be a certain place at a certain time. It's more about getting the best out of yourself every day. That actually allows you to have more of a flexible routine. For me, the morning is the time when I get the most done. Probably the hours from 9 to 12 I'm heads down, listening to music, cranking away. The afternoon is when we loosen up a little bit more, work on the product a little bit more. It's more of a freer atmosphere and we're planning for the future, talking about product updates, changes that we could implement. That whatever idea you are working on now is always going to change, it's always going to iterate. Keep that in mind when you're making your future plans. You may think that whatever you're working on right now is the perfect solution to a problem, but it never is. It's always going to change. Keep that embedded in whatever process you use to grow your business. It depends on what your end aspirations are. If you just want to work in technology, I'd say definitely target a bigger company. If you want to work for a small startup or be a technology entrepreneur, you can't start learning fast enough with that. There's a huge learning curve of two, three or more years of becoming an operator of a tech startup. There are going to be tough times, but you just have to push your way through those, and you can't start early enough if that's what you want to do. It's always been our goal to fundamentally change the live music industry for the better. There's a lot of layers. Most anyone who's been to a concert knows that. They know that sometimes ticket prices are astronomically high. They know that sometimes they never hear about a concert until the day that it's happening. There's some connectivity issues. There's some marketing issues. But we think some of the biggest issues are just internal disconnect between the different pieces of the industry – venues, promoters, artists, etc. – and we are working on solutions that help bring all those pieces closer together, and we believe that's going to help bring ticket prices down in the long run. We are in 25 cities now and growing. We just launched our first international market in Canada earlier this year; we are in Toronto. We'll be rolling out Vancouver soon, and we're hoping to expand to a few more international markets before next year is over, as well as throughout the rest of the United States. Mac for sure. Always Mac. As far as smartphones are concerned, I have an iPhone, but I have mutual respect for iPhones and Androids. At the end of the day, the experience a person has using that device defines what it's worth to them. For sure, Apple had a head start for a long time, but I definitely believe that some of the companies that build Android phones now are catching up. Going to concerts. I love to travel. My fiancé is Chilean, so we travel to Chile a good bit. Love to be in the outdoors, hike. I did a lot more of that when I was on the West Coast. But hiking, camping, visiting national parks. Anything outdoors. And beyond that, being with my family. We're lucky because we're both developers, so that hasn't been a huge challenge for us. However, I do know that it's tough to build a technology team anywhere, even in San Francisco. If you're in a market where there's not a high volume of developers, then it's tough to find one. But if you're in a market where there are a lot of developers, then they come at a premium. So you're either fighting cost or you're fighting the time it takes to actually find the right person. What are your thoughts on Charleston's technical landscape? It's great. It's growing. We've probably grown our revenue by 10x in the year and a half that we've been here, so it's been great for us. It's one of those rare cities like Seattle or Austin – it's got a very high quality of life and the cost of living is relatively low compared to some of the other tech hubs in the country. And that's the equation that you really want to have. People can have an enjoyable life that's not super expensive. What this community and other communities need around the country is more funding. No company is going to be built without some level of seed funding. So, the higher volume of that, the higher volume of technology companies there will be on the scene. I've seen the funding community here growing over the last few years. There are way more opportunities now than when we started our business. As that grows, the technology community here will grow with it.